of financial services, insurance, manufacturing, railroad, and trucking industries. Andres Contreras joined the Rincon Law Group in 2017 as an associate attorney. His practice focuses on commercial, industrial, and transportation clients on a variety of claims involving products liability, personal injury, and commercial disputes. Prior to joining the Rincon Law Group, Andres worked in the energy section of a large international law firm in Mexico City. 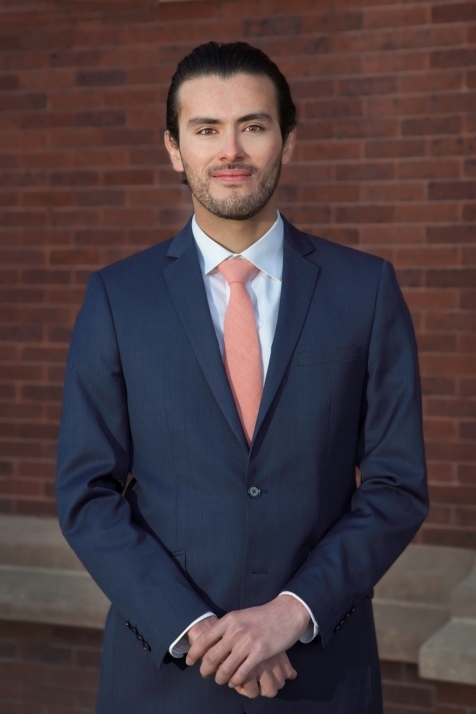 Andres graduated from The University of Texas School of Law in 2015 where he was the first student from Texas to participate in a dual-degree program with a prestigious Mexican university that allowed him to earn both a Juris Doctor degree and a Mexican Law Degree. Through this advanced legal program, Andres spent almost three years in Mexico City. Andres is a product of the border having spent his formative years in both Juárez and El Paso. In his free time, he enjoys playing golf, exercising, and spending time with his family and friends. Rincon Law Group, P.C. has prepared these materials for informational purposes only. This website does not contain legal advice. This information is not intended to create, and receipt of it does not constitute an attorney-client relationship. Online readers should seek professional counsel before acting upon this information. Do not send us confidential information unless and until you have established a formal attorney-client relationship with Rincon Law Group, P.C. and received authorization from one of our attorneys to send us confidential information. Unless otherwise indicated, attorneys at Rincon Law Group, P.C. are not specialists in a specific practice area and are not certified by the Texas Board of Legal Specialization.